Dudley is a large town in the West Midlands county of England. Having an estimated population of 312,900 as of the 2011 census, making it one of the most populous districts in Engla nd, the second largest town in the United Kingdom and the largest UK borough without its own university. Dudley is part of the West Midlands conurbation, and is located south of the city of Wolverhampton and north west of the city of Birmingham. It is the largest town in the Black Country region of England. The Halesowen Wing Chun school is offering authentic Wing Chun Kuen from Sifu Alan through the Ip Man lineage via Chief Instructor Sifu Shaun Rawcliffe. The name Wing Chun is most commonly spelt Wing Chun in English it can also be spelt Ving Tsun or Wing Tsun. Wing Chun is a very unique and scientific form of martial art and a style of Kung Fu that originates from China, refined in Hong Kong by the late Grand Master Ip Man, and then through his sons Ip Chun and Ip Ching. Wing Chun is recognised as one of the most practical and devastatingly effective, no nonsense self-protection martial arts systems in the world. It is said to have been developed in Southern China by a Buddhist nun; Ng Mui, refined and later made famous in Hong Kong by Ip Man and then finally brought to the world’s attention by a film star by the name of Bruce Lee. Wing Chun’s specialty is in close contact combat, using quick punches and kicks with a tight defence, coordinated through agile stances and footwork for a quick advance. The effectiveness of Wing Chun is achieved by well coordinated attacks with simultaneous defence and vise versa. Due to its effectiveness this martial art makes for an effective form of self defence. The student must learn to deliver the correct amount of energy or force, whilst staying relaxed when possible. A good Wing Chun Sifu (instructor / teacher) will teach the student to overcome force and strength with positioning and turning rather than meeting it head on. 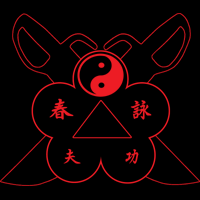 The principles, theories and techniques of Wing Chun are founded on the three empty hand form and the wooden dummy techniques. Training begins with Siu Nim Tao (little idea), Chum Kiu (bridge seeking), Bui Tze (thrusting fingers). Then the serious of students will learn Muk Yan Jong; (wooden dummy), the Bart Cham Dao (eight cutting double knives) and finally Luk Dim Boon Gaun (six & a half point pole).